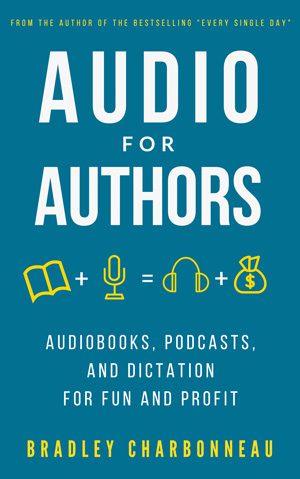 Have you ever noticed that, after listening to a podcast or an audiobook, you feel like you know the author? Our ears bring information into our brains in a different way then our eyes by reading the words–or even our eyes through watching a screen. I’m no aural scientist, but what I personally get with audio is a connection. A connection to the author, to the words, to the story, to the material. It sinks into your brain, I can almost feel it seeping through the nooks and crannies of my mind like water over porous volcanic rock. This is what I’m after. This is the connection I love to have as a reader and this is what I strive for as an author. This is why I’ve built this course so you too can connect with your readers. The rest, a booming audiobook market, smartphones around the world with one-tap access to audio, and a relatively untapped market compared to print and ebooks, is gravy.